What Does the Return of a Major Villain Mean for Arrow? 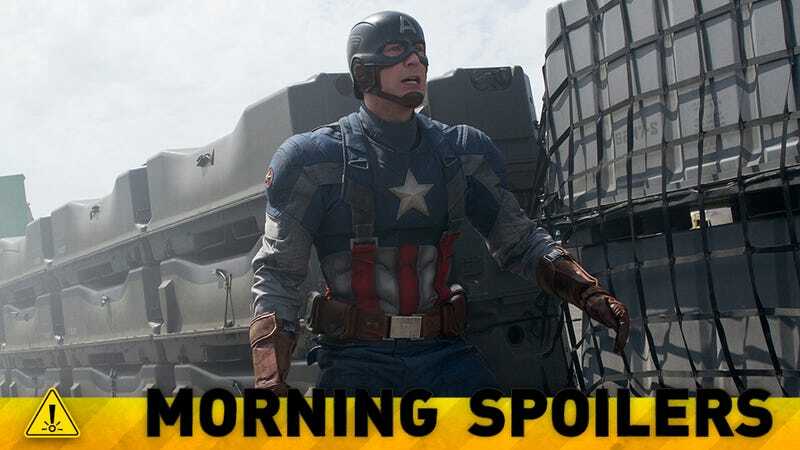 Yet another familiar face may be joining the cast of Captain America 3. Joseph Gordon-Levitt talks up Rian Johnson's plans for Star Wars Episodes VIII and IX. Watch a new Hobbit clip. See a new look at Helena Bonham Carter as the Fairy Godmother in Cinderella. And Sleepy Hollow finds its Thomas Jefferson. Spoilers now! Been doing a lot of work with David Goyer and Jack Thorne, working on the screenplay. We've been doing our meetings at the DC office, which is a frickin rad place to work. Also just had a great conversation last week with David and Mr. Gaiman. Neil has been extremely big hearted with me, and he's the one I want to please most. And certainly it's worth saying that episode 9 is one of the great episodes we've ever done. And 10 is the episode I always wanted to make. And then we do something very, very different in the back half, but believe me when I say it comes full circle and I think the back eight is some of the most interesting storytelling we've ever done on this show. It's so exciting to do. It's been scary, but also it's been thrilling because it's so different. ... We also introduce a lot of new characters in this back eight, and Scott and the writers have done a tremendous job of servicing maybe 24 principal characters. It's been an astonishing feat from their end as well. But I do have to say that losing Emily — it was so painful on so many levels. I adore the girl. I think she's amazing. We lost the voice, her song. And after her having such a tremendous episode that she led in in episode 4 to not even get the chance… I mean, I had three or four seconds to act with her and then she was taken away. It's just cruel, this job, man. It's just cruel.